When everything is said and done, most litigation is about one story with many possible endings. What I enjoy most is designing a strategy and developing the tactics to achieve the 'right' ending – the one that satisfies my client’s needs and goals – whether that is victory at the trial or appellate level, swift and amicable resolution, or anything in between. Mr. Naar focuses his practice in complex commercial litigation. He represents a broad range of business entities and individuals in federal and state court civil litigation and appeals and before arbitration panels. He regularly serves as New Jersey local counsel for law firms in New York, Washington, DC, Chicago and other domestic and overseas locations. His practice also includes alternative dispute resolution as an advocate, mediator or arbitrator. 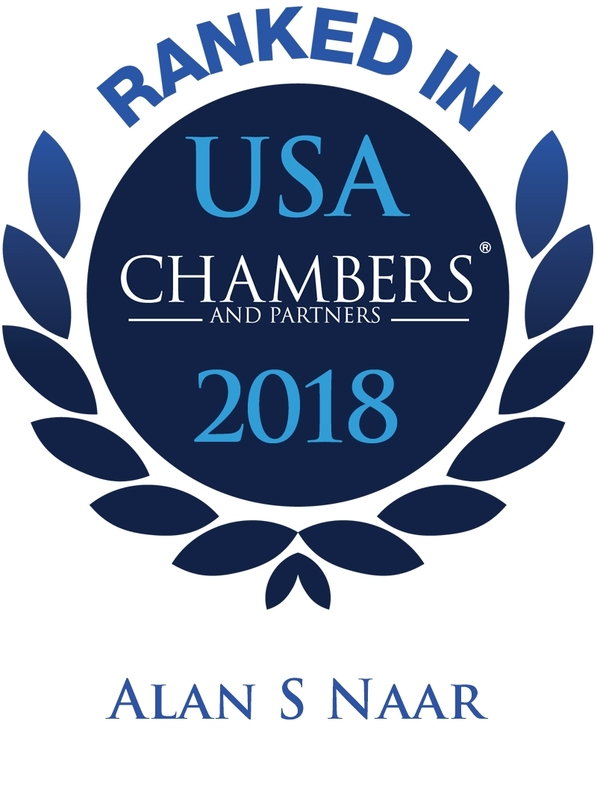 Mr. Naar’s diverse experience encompasses corporate and partnership disputes, business torts, securities litigation, product liability matters, trademark and unfair trade practice claims, trade secret litigation, antitrust matters, RICO claims, professional malpractice, employment litigation, land use and redevelopment challenges, and trust and estate litigation. As counsel for film and Broadway producer Marty Richards, Mr. Naar was successful in establishing at the trial court, Appellate Division, and the New Jersey Supreme Court, that Mr. Richards, as a surviving spouse of Mary Lea Johnson Richards, one of J. Seward Johnson Sr.'s children listed in a 1961 Charitable Lead Trust, was a beneficiary of the Trust and entitled to distributions from the Trustees of the Trust. The Trust had a value at the time of the trial of approximately $300 to $350 million.